Every house, every family has its habits. 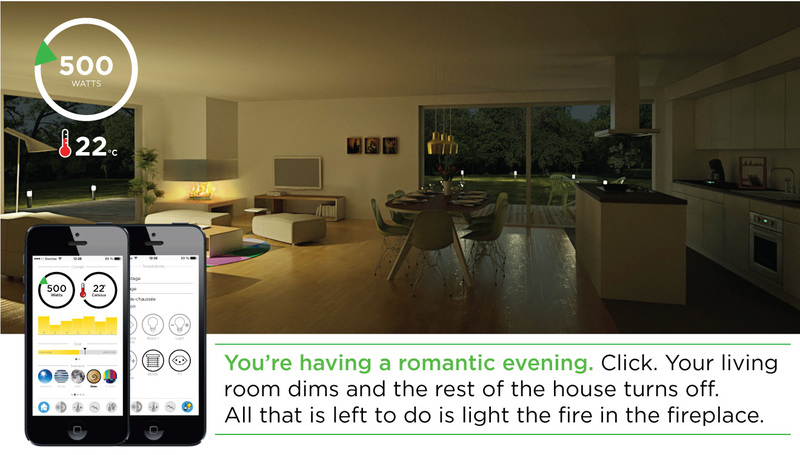 The eSMART system is designed so you can define your own scenarios or programs that match your lifestyle. My hot towel every morning. From the screen, it was a simple matter to set up the start of the towel dryer, twenty minutes before my alarm clock time; it switched itself off when I finished. At any given moment, I can manage the ups and downs of everyday life. 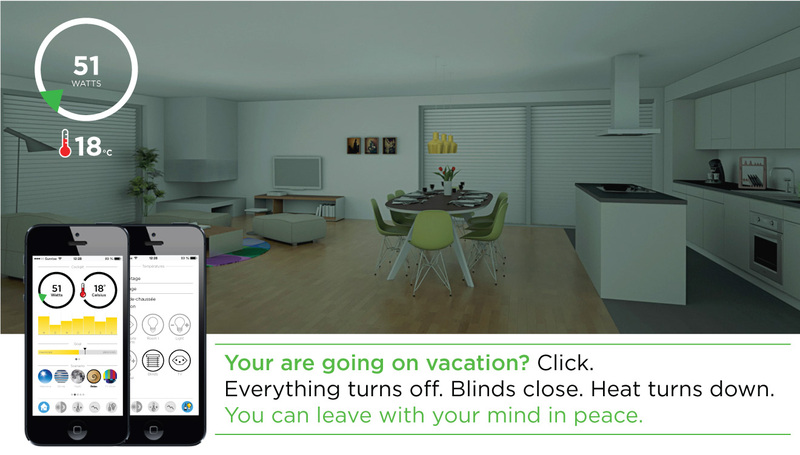 If I leave hastily without opening the blinds because a storm is predicted, I can still control them from my smartphone. If I receive a visit in my absence, the picture of the visitor is displayed on my smartphone. Without me having to remember, the standby mode for all of my electronic devices (TV, computers, internet modem, for example) are switched off every night at the hour that I stipulated in the “goodnight” scenario. 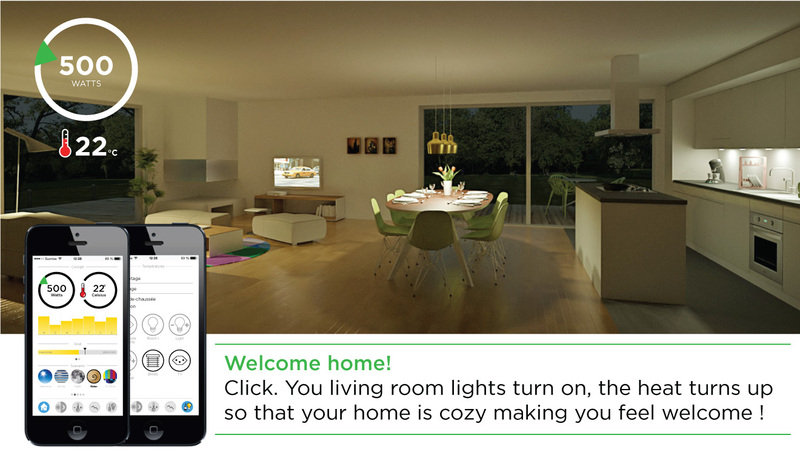 Besides controlling and monitoring household functions, the screen can also be used to leave messages, complete the family agenda and consult the weather report, public transport schedules and news. 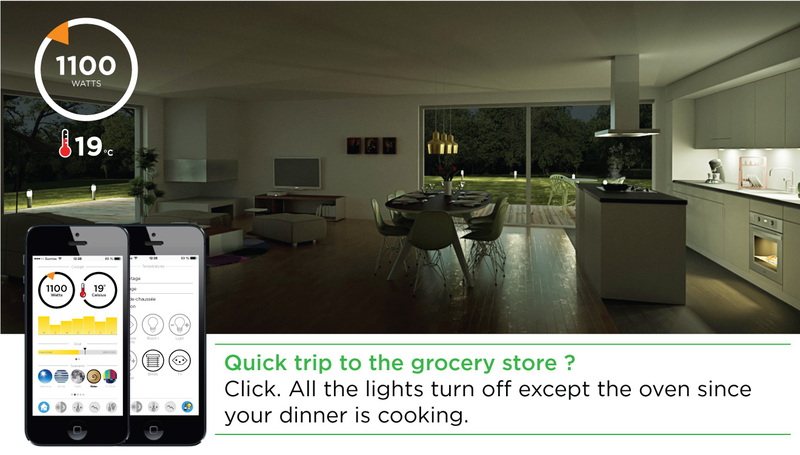 Also, the display of energy consumption in the house educates the family, encouraging greater efficiency and reducing consumption. You can access your consumption history with one click and define monthly consumption goals. 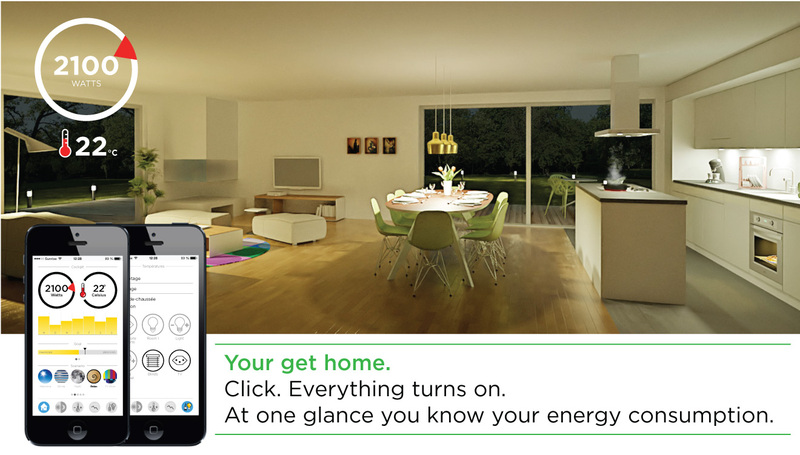 Real-time and separate monitoring of metered heating, hot water and electricity. 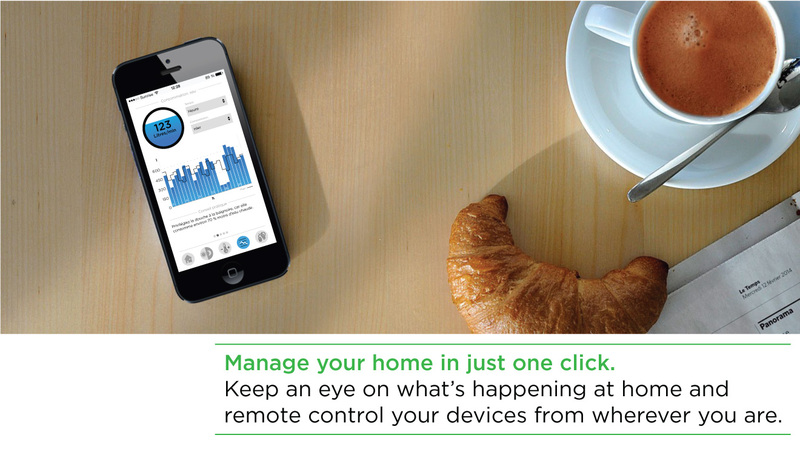 All of these actions result in energy savings of up to 15% and will make you realize the impact of switching on a device. 43% of household energy consumption goes for heating and domestic hot water; 2 min. shower = 2 hours of TV in terms of consumption: Also, Upgrading group housing level D to level A corresponds to a heating energy savings potential of 26%.